Your daily schedule can be jam-packed with activities that keep you—and your money—on the move. You’re an expert at squeezing in activities and errands. When coworkers invite you to lunch, you can go—as long as you leave a few minutes early to fill up the gas tank and buy a gift card for a birthday party this weekend. It can be hard to keep up with your schedule, let alone your money. But, being smart with money while you’re on the move is a lot easier when you can bring your budget along for the ride. Here are four ways you can manage your money while you’re on the go. 1. Get a budgeting app for your phone. Having your plan on your phone makes it easy to check how much money you have before you spend. You can quickly see if you have enough in your restaurant budget to stop for take-out on the way home. Download the EveryDollar app for your iPhone or Android to have control of your budget 24/7. 2. Make it easy to keep track of your purchases. Connect your bank to your budget with EveryDollar Plus so your purchases automatically show up in your budget. All you have to do is drag and drop the amount to the appropriate budget category. It makes budgeting simple and you don’t need to sort through a bunch of receipts later. 3. Create a plan before you leave the house. Take five minutes in the morning to plan your activities and any spending for the day. Pay special attention to those times when you have more opportunities to spend such as your lunch hour, while you’re running errands, or after work. Make a list of the things you may need to buy and stick to it. That keeps you focused so you don’t grab a shopping cart when you only need a basket. 4. Eliminate money confusion with your spouse. Share spending updates with your spouse so you can both stay on the same page. 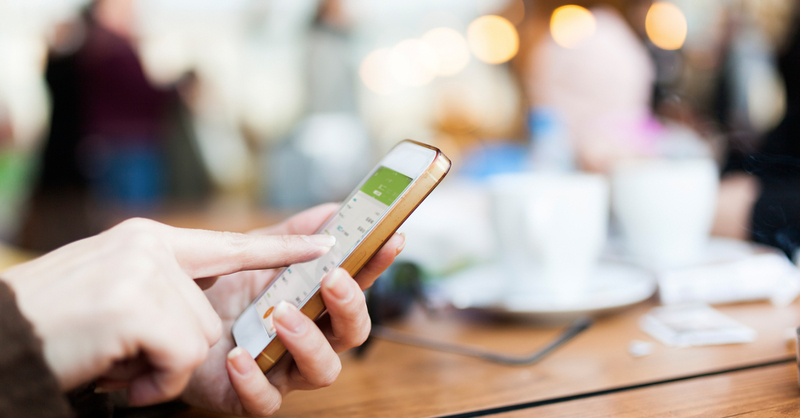 You can synch your EveryDollar budget across devices so that no matter where you are, both of you can track expenses easily and know exactly where your money is going. Mixing a budget with an on-the-go schedule gets a lot easier when you have a budgeting tool that moves at the speed of you. That’s where EveryDollar comes in. You can create a plan for your money in less than 10 minutes. Before you know it, you and your money will be off and running!